well, i guess you can pin them all, but my point (care of a lame pun) is that you cant WIN them all. all being, all the pins. that you have pinned. is this confusing? 1. 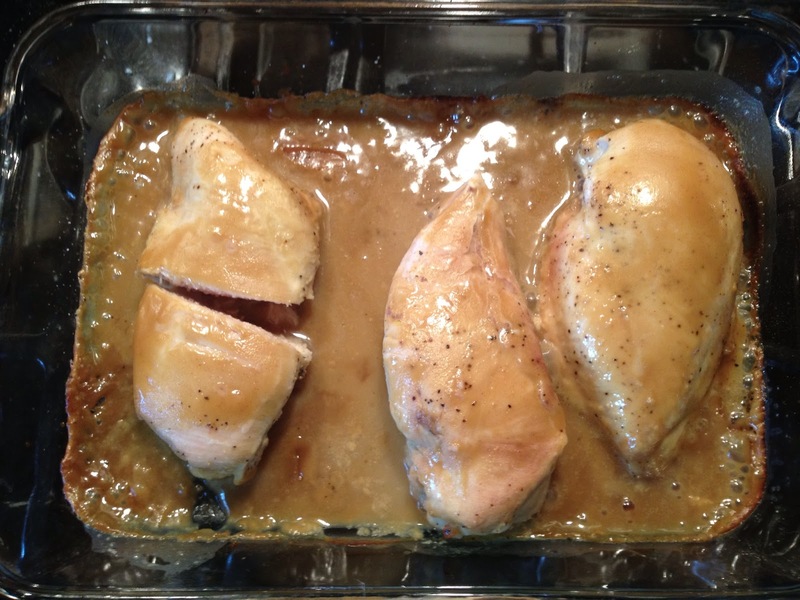 Baked Garlic Brown Sugar Chicken. the picture from the pin was golden and gorgeous, the ingredients simple, delicious and on-hand. i should have known that 1Tb of oil + 4 Tb of brown sugar do NOT make a sauce. they make a rub. a sad, dry rub that makes this meal look like it should be called "bubonic chicken." jesse made this one night and followed the recipe exactly. i had made it another time (before this) and took the advice from a few commenters on the recipe and added sherry, butter and some more liquid things to make it more of a glaze/sauce and less of a blood-blister rash. i cut the chicken into pieces at is was cooking so all sides would get really well coated with the sauce and then served it all over rice and it was really amazing. without the adaptations: inedible. AND the stupid scorched garlic somehow jumped onto my shirt the next morning (?!?!) and gave me a nice smelly stain all day. sadly, jesse didnt know i had adapted the recipe and went to make it again and ended up with this. the dogs LOVED it. 2. "world's best chicken." the maker of this recipe named it that. pretty braggy. i am okay with braggy when you can back it up, but this was just rough looking. when i first read it i thought maple syrup + mustard was right on the line between intriguing and disgusting, and when i saw how it came out of the oven, it tumbled right into stomach churning territory. the khaki monster is ALIVE!!! again, this wasnt that bad over rice and i actually liked the sweet mustard flavor. but i HATE when i follow a recipe to a T and it ends up LOOKING like some monstrosity when the original is straight out of a magazine-worthy. maybe my oven cooks too hot or something, but these are simple recipes with few ingredients and they are ending up WAY off the mark. 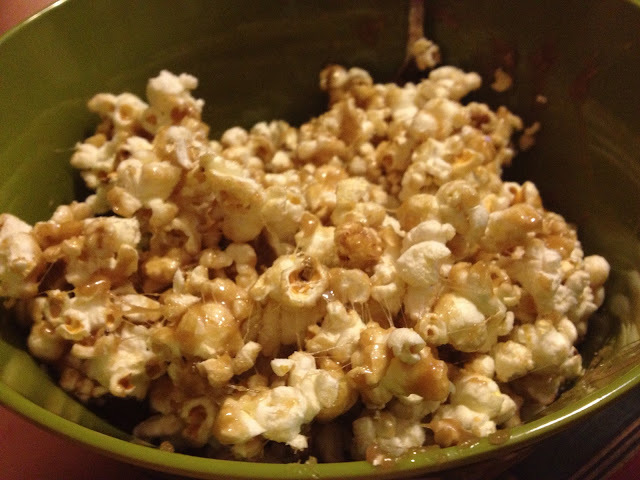 3. marshmallow caramel popcorn. i am not typically a big fan of mallow (though i ADORE that word and will always use it), but we happened to have some on hand when i saw this pin and impulse-keight took over. she is terrifying and must not be denied. i mean, duh. it involves a stick of butter, a 1/2 of brown sugar, 10 mallows and stove popped popcorn. impossible to not be awesome. it was amazing. so dangerously good that we are only allowed to eat it once per decade. and we definitely should have shared with more than just us two. oh the shame/pain/delight of this treat. 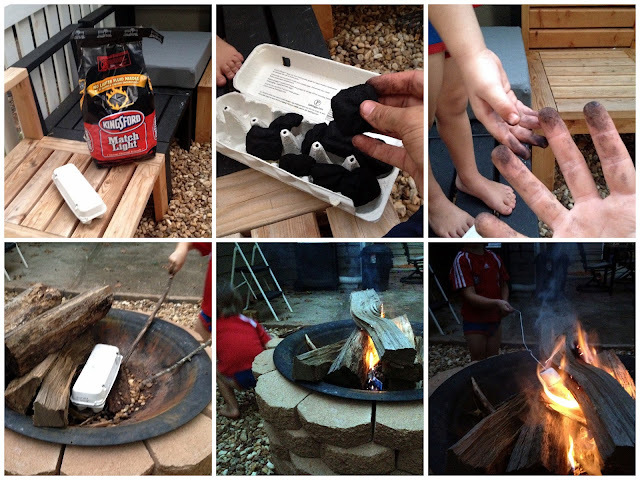 4. starting a campfire or firepit fire with charcoal in a cardboard egg carton. this worked great. we put it in our firepit and went to town. bonus: it was something that judah could totally do himself and feel like a mac daddy. we roasted the mallow, avoided the sting of judah's brandished coat hanger-firebrands as he got a little whippy, and had a cozy evening. 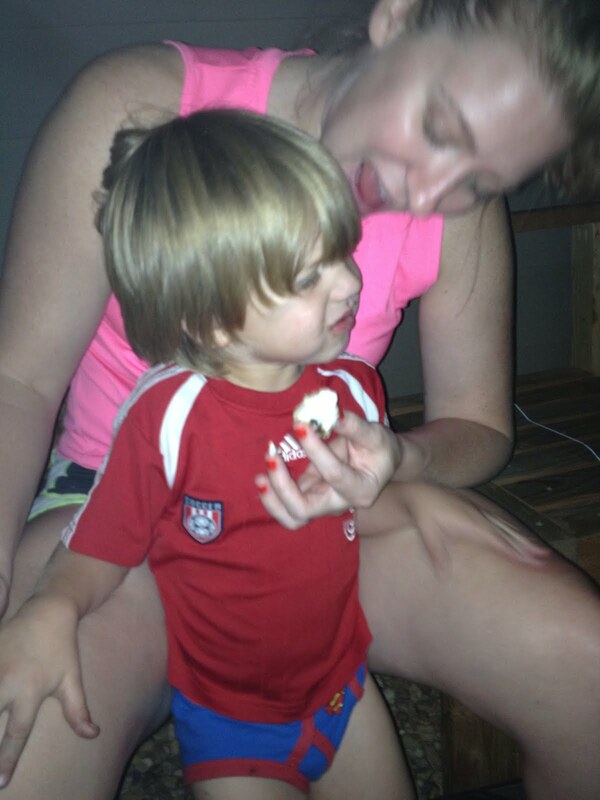 of course, judah didnt get that the point of setting the marshmallows on fire was to EAT them afterwards. turns out he doesnt like mallow too much and i had to force him (!) to even take one bite. i bet depression-era children would have traded a day's factory wages for one marshmallow and be talking about the wonder of it for weeks after. what's wrong with this generation? so a bit of a mixed bag for pinterest lately. those are the breaks. dont believe everything you see on the internet. unless of course it was forwarded to you from a chain that has been unbroken since the time of the pharaohs. in that case, you should probably definitely sit up, pay attention, and give the send the last 4 of your social. I agree on the spicy honey brushed chicken. But do you use thighs?? I've only done it with tenderloins and it is superb. I'm curious if I should be bold and buy some thighs next time. hail yes i use thighs. boneless skinless. its a revelation. i am a dark meat kind of girl anyway (jesse IS tan, you know? ), and oh sweet mercy. so amazing. 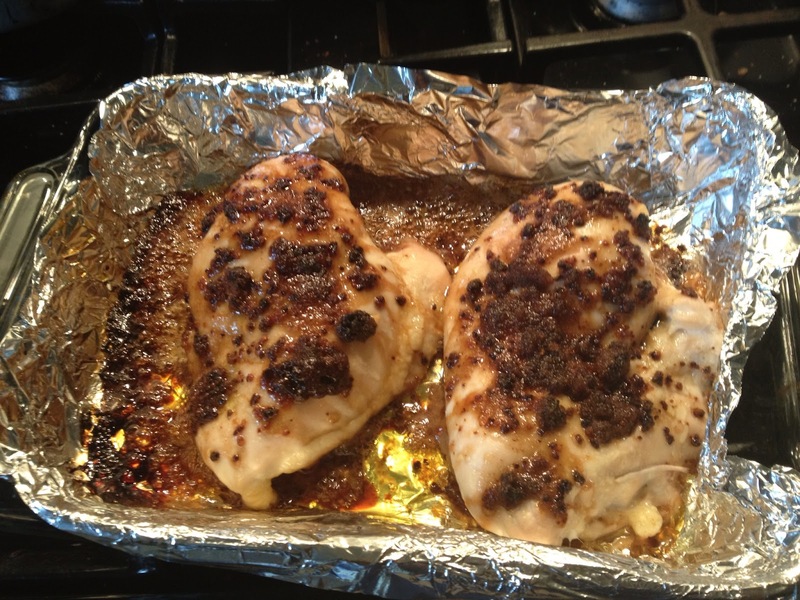 Oh my goodness, I tried the baked garlic brown sugar chicken and had the same results! So glad to know I wasn't the only one; I thought I had just done something wrong. I'm a little heartbroken at the first chicken recipe. I've had it pinned and keep putting it off bc raw chicken is currently topping the list of foods/smells that make me want to barf. But I was sure it was going to be something really delicious and yummy when all the puking was past. Sigh. Maybe if I make the marshmallow popcorn my heart will be healed. Have you seen the "Pinstrosity" Blog yet? It's all about the pins you can't win. Some are pretty funny.